Role Playing Games have been a staple of gaming for as long as the medium existed, with the genre gradually evolving over time to incorporate new systems, settings and gameplay styles. Every console has had some form of RPG representation – some more than others – but I doubt many would have expected the Xbox 360 to be such a hotbed of fantastic, and exclusive, RPGs from Japan. One of my favourites was Tales of Vesperia, an action RPG from Bandai Namco with some great characters, a lovely style and an engaging story. Despite initially being an Xbox 360 exclusive, the game was released on PlayStation 3 in Japan with some new exclusive content. Content which didn’t make its way outside of Japan until last week, when Tales of Vesperia – Definitive Edition was released. With some new licks of paint, increased resolution, and all previously released downloadable content – including Japan exclusive story content – Tales of Vesperia: Definitive Edition lives up to its new suffix and still holds up to today’s standards. 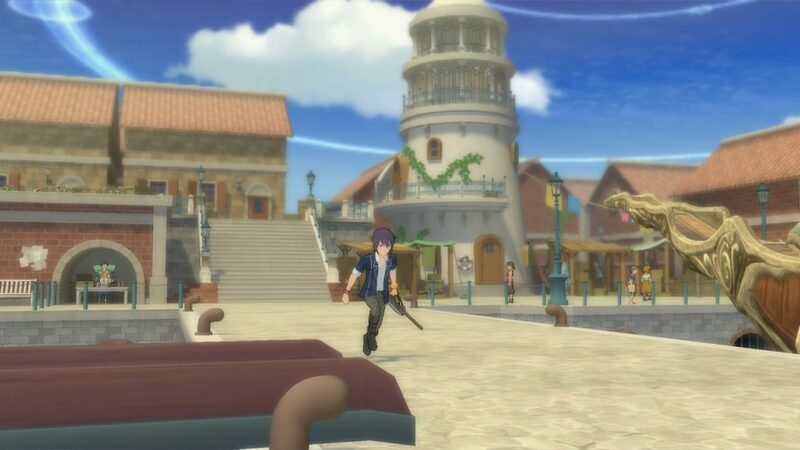 In Tales of Vesperia you follow former-Imperial Knight Yuri Lowell, as his initial quest of finding a stolen part to the Lower Quarter’s water system gradually grows to become a massive, all-encompassing story filled with drama and a smidge of political intrigue. Along the way he gathers around him a ragtag bunch of misunderstood people, as they all work together to investigate the weird goings on in the world, while also battling their own demons and complications. 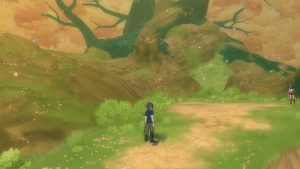 While there are definitely some tropes along the way, Tales of Vesperia leans on them less heavily than other RPGs and instead focuses on making its characters relatable and likable, centring the story around how the overarching story affects them. The characters are all likable, with Yuri in particular being one of the best RPG protagonists of the last decade, and that helps keep you engaged through your time with the game. One of the most striking parts of Tales of Vesperia when it originally released was its art style. While we had seen the release of a some cel-shaded RPGs up to that point, few had been so cohesive in their design and clean in their execution. What this means, is that the game doesn’t look out of place running on a current generation console, despite the game being 10 years old. 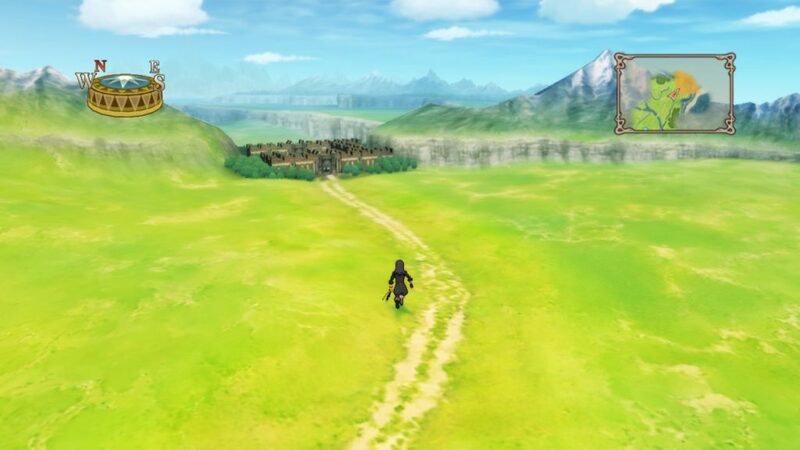 There are definitely some jagged lines here and there, and the overworld is a little drab and lifeless, but the towns and dungeons still look fantastic. Combined with maintaining a healthy 60fps in battles and 30fps outside of battles – although I noticed the occasional bit of slowdown – on Nintendo Switch, the game looks and runs beautifully. I also had three instances of my console completely freezing while playing the game, requiring a hard reset to correct, which is pretty worrying. 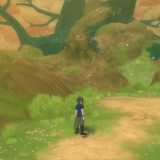 One of the biggest changes to come with Tales of Vesperia: Definitive Edition is additional voice acting. Only some cutscenes and story moments were voice acted in the original release, but Definitive Edition contains additional voice work thoughout all main story content. In a world where other big-name RPGs have recently released with some haphazard utilisation of voice acting, it’s nice to get another game with such great coverage. However, what can be jarring is the jumps between the audio quality, with a relatively noticeable discrepancy between the new and old recordings. The old recordings certainly aren’t terrible, but there is a certain raspy quality that is unmissable. Also, while the different voice actors for the new recordings do a great job of imitating the original actors they’ve replaced, they become more noticeable the longer you play. The game’s soundtrack, however, has really stood the test of time and is still great to listen to. With some new songs added as well, the game has a varied soundtrack that is a joy to listen to. 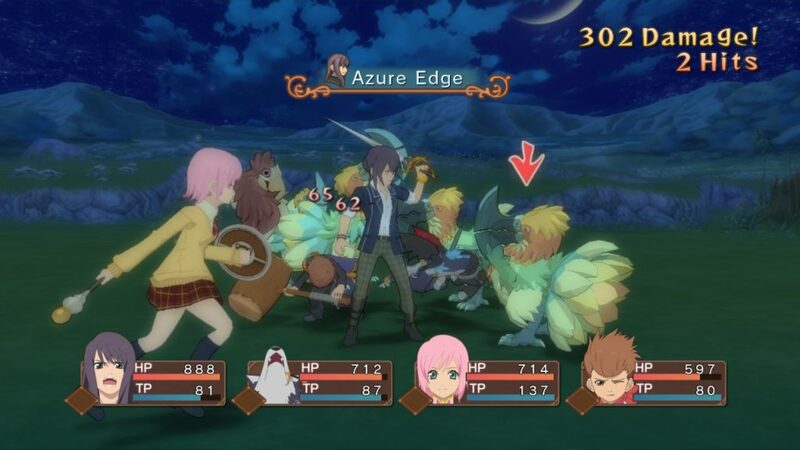 As an action-RPG, Tales of Vesperia eschews the randomised encounters of the past, instead presenting you with visible enemies on the field. Running into an enemy pushes you into an enclosed 3D battlefield – with a tiny load time – that you can freely run around by holding down a button, while your default movement is on a 2D plane. In battle you have 3 different control modes you can utilise: manual, semi-auto and auto. Manual is exactly what you think, with you being completely in control of your character’s movements. Semi-Auto causes your character to automatically move to the appropriate range to use the attack you’ve selected, allowing you to focus on attack selection without worrying about the tiny details. Automatic has your character work as an AI-controller character, which is great for when you want to smash out some battles but are feeling lazy. Beyond your movement, combat is deeply layered with different techniques you can use, all of which are gradually rolled out as you play. Your most common techniques are standard attacks, guarding and your Artes – abilities that are triggered with the press of a button and a directional input. From there you have Overdrive, a triggerable metre that lets you chain attacks and Artes without gaps between them, as well as Burste Artes – a more powerful Artes that are chained onto other specific Artes you can use. Other techniques include Finishing Attacks, super powerful attacks that can only be triggered under specific circumstances, and a wide range of skills you can learn from weapons you equip. The layers of systems on top of other systems can get a bit chaotic at times, but it also keeps combat interesting and fun. Whether you’re a newcomer to the game or a returning fan, Tales of Vesperia: Definitive Edition is a worthwhile purchase. The game holds up extremely well to today’s standards, although the drab overworld is still a sticking point. There’s plenty of new content for people who have previously played the Xbox 360 original, while the colourful graphics, interesting story and likable characters should appeal to newcomers. It would have been nice to see all of the voice acting redone or to have the original voice actors reprise their roles for the new voice work, as the difference in quality becomes noticeable at points. Overall, Tales of Vesperia: Definitive Edition is a fantastic purchase for any RPG fan.